Taking Algeria’s lead in securing its southern borders in the Sahara/Sahel region against terrorists, smugglers, drug traffickers and kidnapping gangs, the Mauritanian Army has announced the creation of a new military zone along Mauritania’s northeastern border with Algeria and its eastern border with Mali (for Algeria, see Terrorism Monitor, January 7, 2010). Special transit corridors and authorized gateways requiring mandatory military permits will be created in the largely uninhabited border region. General Mohamed Lamine Ould Etalib warned, “Anyone who does not comply with instructions of military units will risk being shot at directly. If anyone tries to disobey orders, he will fall under suspicion and will be directly shot” (al-Jazeera, February 14, 2010). Additionally, all foreigners who have not entered Mauritania through official transit points have been ordered to report to authorities to rectify their status. Mauritanian Interior Minister Mohammad Ould Abileil stated that failure to use one of the 35 official border posts could result in interrogation and deportation (Ilaf.com, February 11, 2010). Colonel Mohamed Lamine Ould Taleb took to local television to announce that “this whole border region is now under the authority of the Mauritanian army which is imposing in it strict surveillance measures” (Sahara Media [Nouakchott], February 15, 2010). Though the plan is largely a response to a series of al-Qaeda attacks on Mauritanian military units in the region and the activity of kidnapping gangs, the presence of French and Spanish oil firms in the area has been given as another reason for establishing a new security regime. The notoriously ill-equipped Mauritanian army and police received a major shipment of French military supplies in January, some of which appears to have found its way to a new “Special Intervention Group” patrolling the northern border region (Jeune Afrique, February 11, 2010). Without surveillance aircraft, Mauritania will be hard-pressed to seal the vast and inhospitable border region from experienced smugglers who may know the desert better than Mauritania’s security forces. 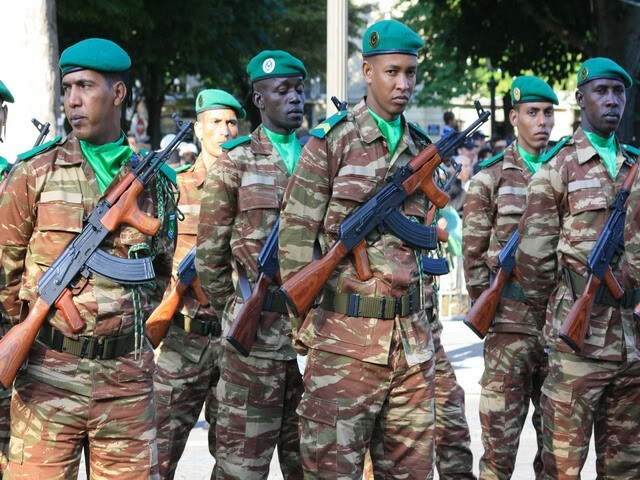 While Mauritania sees threats from Algeria and Mali, Morocco has taken steps to secure its borders with Mauritania to prevent the movement of armed terrorist groups and smugglers. These measures include the introduction of a mobile scanner for examining trucks and containers at the busy Karkarat border checkpoint, the first of its kind in the region (Ilaf.com, February 11, 2010). This article first appeared in the February 26, 2010 issue of the Jamestown Foundation’s Terrorism Monitor. With roughly 20% of its combat capability currently deployed, combating insurgency in the northwest frontier region, Pakistan’s military is eager to consolidate its hold on the tribal areas and return its regular forces to the eastern frontier with India. To accomplish this, the government has turned to one of its weakest and most unreliable security forces: the paramilitary Levies. On February 17, President Asif Ali Zardari announced a new plan to upgrade the Levies to enable them to take on the task of providing police services and general security after the withdrawal of the army (Associated Press of Pakistan, February 17). According to the President, “The anti-militancy war is a huge national effort and calls for strengthening and upgrading all its components” (The News [Islamabad], February 19). The Levies (originally the “Swat Levies”) were created by the British in 1895 as a paramilitary police force. The Levies now come under the administrative control of the Ministry of States and Frontier Regions (SAFRON). The restructuring of the Levies will include an expansion in numbers, better training and the provision of modern weapons and equipment (Daily Times [Lahore], February 15). A special directorate general will be created to oversee the upgrade and operations of the Levies. To accomplish this, the Levies have been allocated a supplementary grant equivalent to 300% of its current budget. This will be followed by $17.6 million in spending to improve the levies over the next two years. Some of this money will be spent on the construction of new posts in the Federally Administered Tribal Areas (FATA), the North-West Frontier Province (NWFP) and Baluchistan (Associated Press of Pakistan, February 17). New equipment is vitally needed; until now the Levies have been issued little more than an outdated rifle and a handful of rounds. The unreliable Levies will have an uphill struggle to maintain control in the frontier region. 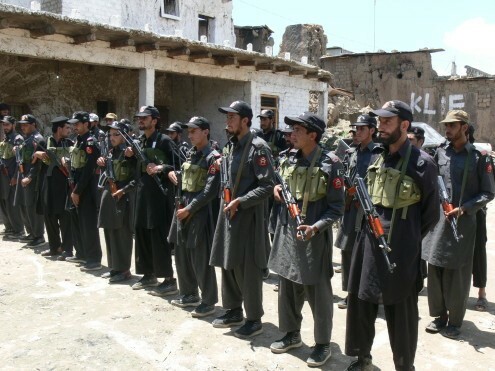 On February 14, the Political Agent for Orakzai Agency ordered the pay of local Levies suspended over their failure to perform their duties, citing fear of Taliban militants. The Levies were warned that they would be dismissed if they did not resume their activities (The News, February 14). 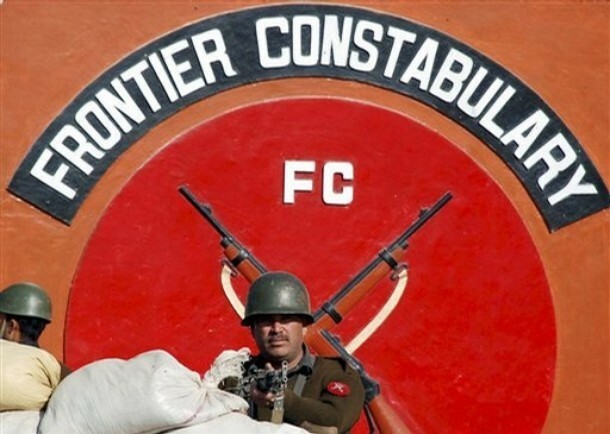 Six officers from the Malakand Levies were among 155 NWFP officials against whom the government recently initiated action due to their ties to Islamist militants (The News, January 14). Last August, 66 Levies personnel, including a subadar major, were suspended after they were charged with laying down their arms before the Taliban in Malakand Division in the lead-up to Operation Rah-e Rast (Nawa-e Waqt, August 27, 2009). Nevertheless, over 100 Levies have been killed and another 40 injured in clashes with militants in the last four years (The News, February 19). A suicide attack in Jamrud (Khyber Agency) on February 10 killed 15 Levies and Khassadars (Tribal Police) (The News, February 12). Poor pay and lack of compensation to heirs if killed in action are issues that pose a major problem to recruiting capable personnel to the Levies. Taliban salaries are far higher and compensation of Rs 5 million ($58,871) is paid to the families of dead Taliban fighters (Khabrain [Islamabad], August 19, 2009). On February 9, the Peshawar High Court responded to a number of lawsuits filed by heirs of deceased Levies and ordered SAFRON to pay Rs 1 million ($11,774) as compensation to the heirs of Levies and other security personnel killed in military operations in the tribal region (The News, February 10). The upgrade program is expected to bring the wages of the Levies and Khassadars in line with NWFP police personnel in urban areas. Levies are currently paid Rs 3,500 ($41) per month, less than the official minimum wage. Habibullah Khan, a senior member of the FATA secretariat, has suggested that the Levies establish their own investigative and intelligence services (The News, July 31, 2009). The FATA secretariat has also urged the recruitment of another 5,000 Levies to bolster the current 6,779 Levies in their new mission of securing the gains of the Pakistani military. A weapon thought by many to belong to military museums is making a return to active anti-insurgency operations in the North Caucasus: the armored train. First used for such purposes in the American Civil War, armored trains and the tactics associated with their use were most fully developed in the vast expanses of Russia, where they were used in large numbers in World War One, the Red-White Civil War of 1917-22 (including extensive operations in the Caucasus), the Second World War and the Sino-Soviet border conflict of the 1960’s. More recently, Russian armored trains were deployed to secure railway lines against Azeri nationalists during the 1990 Soviet military intervention in Baku. Now Russia’s defense ministry has announced the return of armored trains for use against Islamist insurgents in the North Caucasus (Interfax, January 5, 2010; Russia Today, January 5, 2010). The growing insecurity of Russia’s railway system led to an announcement by President Dmitry Medvedev on December 2 that he had just signed a special order regarding the prevention of terrorist attacks on railways (ITAR-TASS, December 2, 2009). Medvedev’s announcement followed remarks by Prime Minister Vladimir Putin that called for pre-emption as the best means of eliminating attacks on the rail system (Moscow Times, December 1, 2009). Bombings of Russian trains in Dagestan have become a major security problem, with some seven explosions occurring on trains in the last six months of 2009 alone. The attacks appear to be part of a new campaign by North Caucasus Islamist insurgents to strike Russian infrastructure, including railways (EDM, December 10, 2009). One person was killed in an explosion on railroad tracks near the Dagestani capital of Makhachkala on February 10. The bomb appears to have gone off prematurely, narrowly missing an incoming freight train carrying 20 tankers full of jet fuel (www.news.az, February 11, 2010; AP, February 11, 2010). Militants fired two shots from a grenade launcher at militia quarters in the railway station at Nazran (Ingushetia) on February 2 (Chechenpress, February 2, 2010). Federal Security Service (FSB) forces in Dagestan announced the killing of a veteran Egyptian jihadist who had targeted railway infrastructure in the North Caucasus. Mahmud Muhammad Shaaban was killed in a shootout on February 2 (RIA Novosti, February 3, 2010). A cargo train including oil tankers was derailed by an explosion in Nazran on January 4 (Caucasian Knot, January 4, 2010). On November 30, 2009, a bomb went off under the Tyumen-Baku train in Dagestan, damaging the locomotive (Moscow Times, December 1, 2009; ITAR-TASS, November 30, 2009). The Nevsky Express running between Moscow and St. Petersburg was derailed by a reported explosion on November 27. The FSB estimated seven kilograms of explosives were used (RIA Novosti, November 28). Though the Caucasus mujahideen claimed the explosion was carried out under the orders of their amir Dokka Umarov, elements of the police and many observers questioned the ability of the rebels to conduct such an operation. The mujahideen’s message included threats to carry out further attacks on rail lines and other Russian infrastructure (www.kavkazcenter.com, December 2, 2010; RIA Novosti, December 2, 2010; ITAR-TASS, December 2, 2010). A landmine blew up a section of rail in Makhachkala as a locomotive passed over on October 25 (Interfax, October 25, 2010). A section of the Baku-Rostov rail line near Makhachkala was destroyed by a bomb blast on October 12, 2010. An explosion damaged the rail line between Makhachkala and Baku and set fire to a locomotive on November 26, 2009 (ITAR-TASS, November 26, 2009). A sapper was killed by an explosion on the rail line south of Makhachkala on July 2. The bombing occurred as a repair crew arrived to fix track destroyed earlier that day in another explosion (RIA Novosti, July 2, 2009). Building on the 1919 innovation to include a desantniy ortryad (raiding team) with every armored train for offensive and defensive missions, modern armored trains include detachments of armor and infantry that can be quickly offloaded and deployed around the area of the train or sent on reconnaissance missions. This makes it difficult for insurgents to prepare ambushes or destroy sections of track without detection. Meanwhile, the armored train can provide mobile artillery fire in support of infantry operations. Anti-aircraft weapons provide a defense against air attack, though this does not figure into anti-insurgency operations such as those in the North Caucasus where control of the skies is held by state forces. Tanks carried on the armored train may also be used in a secondary role as tractors in the removal of derailed railroad cars (as a result of ambush, mines, etc). During the Cold War, Russia deployed 56 RT-23 Intercontinental Ballistic Missiles (ICBM’s) (NATO name – SS-24 Scalpel) on military trains used as mobile launch pads. The last of these was decommissioned in 2005. Elaborate armored trains were deployed along the Soviet-Chinese border in the 1970’s. These trains carried a motorized rifle platoon, an anti-missile detachment, military engineers and communications units. The train could also deploy 12 tanks (two amphibious), eight armored personnel carriers and a variety of lighter transport. The armored trains were demobilized as border tensions with China calmed in the 1980’s (www.russia-ic.com, November 26, 2009). Russia maintains a unique formation of Railway Troops (Zheleznodorozhniki -ZhDk), composed of four railway corps, 28 railway brigades and a number of military and research units under the control of the defense ministry since 2004 (ITAR-TASS, May 2, 1999). The Railway Troops are responsible for securing and rebuilding railroads in support of combat and mobilization efforts, the construction of new railways and the repair or reconstruction of rail systems destroyed by enemy forces or natural calamities. Railway troops were active in these roles in the First Chechen War of 1994-96. 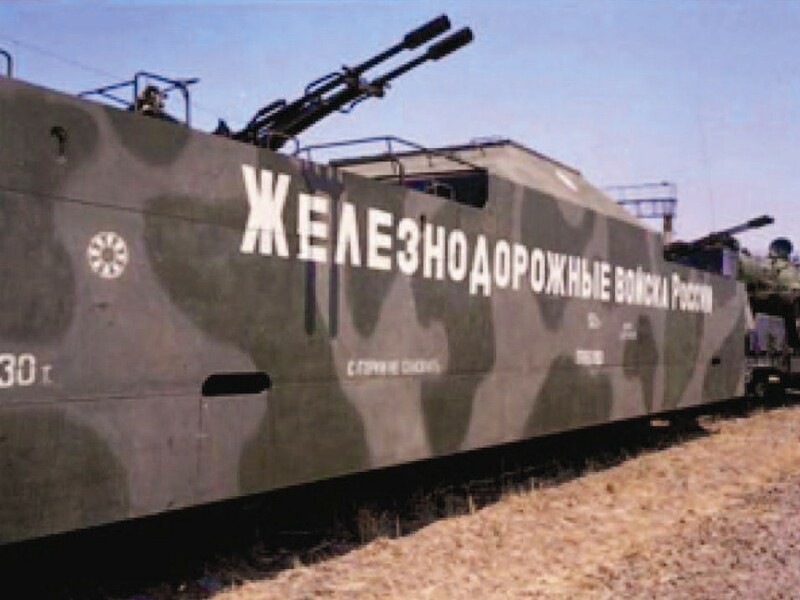 Shortly after the Second Chechen War began in 1999 the Railway Troops began operating an armored train to protect commercial cargo and military supply trains (Nezavisimaya Gazeta, June 10, 2008). C.W. Blandy, “Georgia and Russia: A Further Deterioration in Relations,” Advanced Research and Assessment Group, Caucasus Series 08/22, July 2008, http://www.da.mod.uk/Publications/category/67/georgia-and-russia-a-further-deterioration-in-relations-1167. Amid rumors that the program has been grounded, the Royal Thai Army maintains it is in the last stages of preparing a controversial U.S.-built manned airship for deployment in the military’s struggle against Islamist separatists active in southern Thailand. The Thai military has been heavily criticized recently by those who allege the armed forces have gone on a spending spree, buying expensive but unproven and potentially useless technology as the nation tries to recover from a financial crisis. Many Thai analysts wonder whether the same amount of investment in human assets or less mobile but cheaper ground surveillance systems would not realize similar results. Even one of the airship’s operational support team questioned the airship’s usefulness on two grounds: the heavily forested terrain of south Thailand differs greatly from places where balloon surveillance is currently used, such as the deserts of Iraq and Afghanistan; secondly, the insurgents specialize in hit-and-run attacks and do not converge in large groups long enough to be noticed by an airship (The Nation [Bangkok], February 4). The Aeros 40D S/N 21 (Sky Dragon) is made by California-based Worldwide Aeros. Nearly 50 meters long, the Sky Dragon has an operational range of 560 km, a ceiling of 10,000 feet and can travel at a maximum speed of 88 kph. The airship was procured through a contract with a U.S. defense industry middleman, Aria International. Allegations of corruption in the procurement process were cited as one of the reasons behind demonstrations by the red-shirted United Front for Democracy against Dictatorship (UFDD) opposition movement at Royal Thai Army headquarters (Thailand News Agency, January 20). The charges were refuted by Aria VP Art Sullivan. “To be specific and blunt, Aria has never paid anyone to gain or retain this contract.” Defending the airship against allegations it could be easily shot down by small-arms fire, Sullivan stated. “In fact, you could put 20 bullet holes in this airship and it would still continue to fly. Nonetheless, we operate the airship at a safe altitude above the range of small arms.” Sullivan also challenged exaggerated cost figures that appeared in the Thai media, insisting the contract was for a fixed $9.7 million (Letter to the Editor, The Nation, February 8). The procurement controversy is part of larger public criticism of wasteful defense spending on a bloated defense establishment that has been slow to follow the “leaner and meaner” trend of other militaries (The Nation [Bangkok], February 5). Initially, it was planned to purchase two of the airships, though the acquisition of another airship now looks unlikely in light of the procurement controversy. Delays in the program were attributed to problems in obtaining a U.S. release for the technology used in the airship’s complex camera system (worth more than the rest of the airship and its support system). The high-definition, thermal-detecting surveillance cameras can record images night or day, in any kind of weather. Once deployed, the airship system (described by Aria as a “surveillance programme, not an airship programme”) will be operated by 55 officers and NCOs distributed between command, air, ground and support operations. Airship operations will be supported by three HU-1H helicopters, one in each of the southern provinces of Narathiwat, Yala and Pattani. On the ground, a 22-ton Grizzly Armored Personnel Carrier acts as a mobile command-and-control vehicle. The airship also requires the construction of a hangar and support facility in Pattani province. The U.S. military has deployed cable-tethered blimps – aerostats – as part of its RAID (Rapid Aerostat Initial Deployment) surveillance system in Iraq and Afghanistan (Defense Industry Daily, July 18, 2009). Though the aerostats use low-pressure gas to prevent being brought down by a single bullet-hole, insurgents have discovered that if you put enough bullet-holes in an aerostat, it needs to be brought down for maintenance. In many cases this has reduced a projected 30-day aerostat deployment to a length of only several days. Though their effectiveness in South Thailand is yet unproven, airships may soon play an important role on the modern battlefield. The U.S. Defense Advanced Research Projects Agency (DARPA) and the U.S. Air Force have plans to launch a massive unmanned military airship capable of flying a ten-year mission at 70,000 feet. Dubbed ISIS (Integrated Sensor Is Structure), the airship will be 1,000 feet in length, with two enormous radar antennas integrated into the framework of the airship and an advanced radar system designed by Raytheon. According to DARPA, “ISIS will revolutionize theater-wide surveillance, tracking and fire control” (Defense News, May 11, 2009). A prototype built by Lockheed is scheduled to make its first flight in 2013. Al-Qaeda has never attempted to seize and hold strategic territory, but this may be about to change, according to an audiotape message from the deputy leader of al-Qaeda in the Arabian Peninsula (AQAP). In the 12-minute statement, Sa’id al-Shihri (a.k.a. Sufyan al-Azidi) outlined a new strategy that would involve Islamist fighters from Somalia working in coordination with AQAP fighters in Yemen to secure both sides of the vital strait (al-Malahim Establishment for Media Production, February 8). Some 30% of the world’s annual trade passes through the narrow Bab al-Mandab (“The Gate of Tears,” thanks to its navigational hazards). 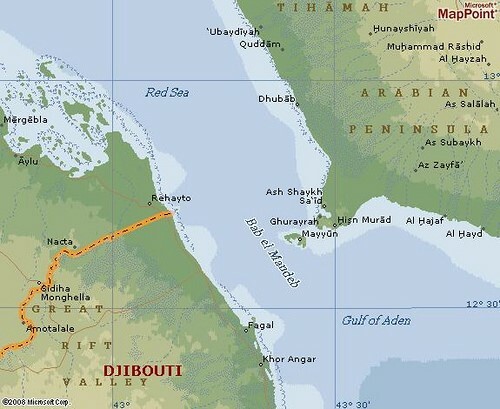 Passing Djibouti and Eritrea on the west and Yemen on the east, the strait connects the Indian Ocean to the Mediterranean via the Red Sea and the Suez Canal. 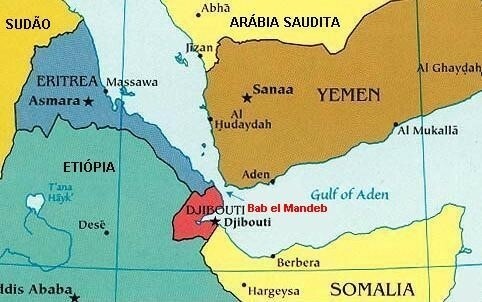 Commercial ships entering or leaving the southern end of the Bab al-Mandab must already contend with pirate-plagued shipping lanes in the Gulf of Aden. Al-Shihri suggested that controlling the Bab al-Mandab and bringing it “back under the protection of Islam” would “create a great victory and international power for us… Then the strait will be closed and the grip will be tightened around the throat of the Jews, because the U.S. supports them through [the strait], by means of the Red Sea in particular.” Al-Shihri claims “the Jews” are mobilizing their agents to oppose this, especially those in the “agent governments” of Egypt and Saudi Arabia. Al-Shihri mentions in particular Egypt’s Lieutenant General Omar Sulayman, the director of the Gihaz al-Mukhabarat al-Amma (Egyptian General Intelligence Services) since 1993. Elements of the Arab press quickly pointed out that al-Qaeda’s ambition may be beyond its reach. “Control of the Bab al-Mandab might not be easy, especially as it does not possess heavy weapons and modern boats that can be used for this purpose, but this does not mean it does not possess the logistical capabilities that can disrupt navigation in this vital international passageway” (al-Quds al-Arabi, February 9). Nevertheless, Yemeni government officials said all such threats were taken seriously (al-Hayat, February 9; 26Sep.net [Yemen Defense Ministry], February 10). Somalia’s Minister of Information, Dahir Mahmud Gelle, urged the international community to take steps to eliminate AQAP and al-Shabaab to avert the risk to the global economy posed by a seizure of Bab al-Mandab (Radio Gaalkacyo, February 10). This article first appeared in the February 19, 2010 issue of the Jamestown Foundation’s Terrorism Monitor. Following the Afghan Taliban intelligence coup that led to the late December suicide-bombing at an American base in Khost province that killed seven CIA agents, Pakistan’s Taliban have apparently scored an intelligence success of their own, exposing a secret U.S. operation in the North-West Frontier Province (NWFP) by killing three American Special Forces operatives in a carefully targeted suicide car-bombing. The attack took place outside the re-opening of a girls’ school in Shahi Koto, an area of the Lower Dir district of the NWFP. The Pakistani military claimed to have cleared Upper and Lower Dir of militants in the summer of 2009. The suicide bomber appears to have waited for the paramilitary Frontier Corps (FC) vehicle carrying the Americans before driving his car alongside and detonating a powerful bomb of 50 to 60 kilograms of explosives. Other than the three Americans, five schoolgirls and an FC soldier were killed. Dozens of schoolgirls were wounded after being trapped under the rubble of the demolished school building (AFP, February 4). The girls’ school was one of dozens destroyed by TTP forces under the command of Maulana Fazlullah last year. It was rebuilt with the assistance of the U.S. Agency for International Development (USAID). Investigators from Pakistan’s security services claimed the suicide bomber was an Uzbek who was part of a group of militants fleeing from military operations in Bajaur (The News [Islamabad], February 8; see also Terrorism Monitor, February 11). The suicide bombing was carried out with deliberation; the attacker appeared to know when the convoy was destined to arrive and which of the five vehicles contained the Americans. Police are investigating whether the attacker had inside information (Daily Times [Lahore], February 5). Besides proving their ability to strike targets even in areas “cleared” of insurgents by the Pakistani military, those behind the bombing also sent a powerful signal to the local community that their children will not be safe at schools which are not authorized by the TTP. One leading Pakistani daily expressed astonishment that TTP insurgents would take revenge for the death of TTP leader Hakimullah Mahsud by a cruel attack on a crowded girls’ school. “Is this the bravado that the Mahsuds are known for?” (Business Recorder [Karachi], February 9). A spokesman for the Frontier Corps initially claimed the dead foreigners were “working for an NGO” and were from “the international community” (The Nation, February 9). An editorial in a leading Pakistani daily described the initial confusion that sparked debate in Pakistan over the identity of the deceased and the nature of their mission in Pakistan. “Three foreign nationals were reported killed. Initially they were said to be ‘foreign journalists,’ then they became aid workers perhaps working with USAID but by mid-afternoon they had become ‘U.S. army personnel’ and by late afternoon as per a statement by the U.S. embassy in Islamabad they were ‘trainers’ working with the Frontier Corps” (The News, February 4). Despite clumsy attempts to conceal the identity and mission of the dead Americans, the bombing provided conclusive evidence of an American military presence in Pakistan that had been concealed from the public, the political opposition and the media. A U.S. embassy official in Islamabad denied the mission was ever covert. “It’s not a secret program by any means. The F.C. is operational in those areas. They’ve requested training and assistance and we’re providing them… Do we highlight it actively? No. But it’s not that we don’t talk about it” (AFP, February 4). Eventually embassy officials revealed there were roughly 200 U.S. troops in Pakistan on a mission to provide security assistance and training in combat and intelligence methods to FC personnel. The training program had started in the summer of 2008 and was accompanied by shipments of useful supplies generally missing from FC inventories: night scopes for rifles, night vision equipment, body armor, medical supplies, communications equipment, etc. (AFP, February 4). Pakistan’s Minister for Information and Broadcasting, Qamar Zaman Kaira, said the government has never denied the presence of American troops in side Pakistan, and that their sole purpose was to upgrade the training of forces on the northwest frontier that were not properly equipped to tackle terrorism (Associated Press of Pakistan, February 5). The bombing and the initial confusion over the identity of the victims immediately fed into the popular belief in Pakistan that large numbers of private military contractors from American firm Xe Services LLC (still almost exclusively known in Pakistan by its former name – Blackwater Worldwide) are conducting covert operations in Pakistan, including many of the bombings that have been blamed on the local Taliban. In a claim of responsibility made shortly after the blast, TTP spokesman Azam Tariq stated, “The Americans killed were members of the Blackwater group. We know they are responsible for bomb blasts in Peshawar and other Pakistani cities” (The Nation [Islamabad], February 3). Richard Holbrooke, the U.S. Special Representative for Afghanistan and Pakistan, stated that the dead and wounded servicemen were members of the regular armed forces and not contractors from Xe Services, saying Taliban claims to the contrary were predictable. “They’re certain to say that. That’s what they do. They’re adept at propaganda and distortion” (Dawn [Karachi], February 5). Two prominent ex-leaders of the Pakistani military and intelligence services, former chief of army staff General (Ret’d.) Aslam Beg and former military intelligence director Lieutenant General (Ret’d.) Amjad Shoaib, inflamed the controversy by insisting the dead servicemen were actually members of Blackwater’s “Special Operational Group” (Jang [Rawalpindi], February 7; PakObserver, February 5). Another Taliban commander known as Hafizullah told the press that the attack specifically targeted the U.S. Special Forces soldiers after Pakistani security officials claimed the true target was F.C. Colonel Nadeem Mirza, who suffered injuries in the attack. Hafizullah also hinted that the TTP had prior information about the formation and timing of the convoy (The News, February 8). The former security chief in Pakistan’s tribal agencies, Brigadier (Ret’d.) Mehmood Shah, suggested the information may have come from inside the Frontier Corps, which is recruited from the same tribal population from which the Taliban are drawn. Shah remarked that the paramilitary F.C. was not as well-disciplined as the regular forces and that the rank and file could not be trusted with secret information (The News, February 8). Pakistani defense analyst Ikram Sehgal noted that the F.C. remains a poor cousin to the Pakistani regular forces deployed along the eastern frontier with India. “Locally recruited Frontier Corps troops are lightly armed, good only in their policing role, dealing with tribal rivalry and border smuggling, rather than engaging in military operations combating well-armed and experienced guerrillas” (The News, February 11). An Islamabad daily usually well-informed on military issues said their sources indicated the Special Forces unit was involved in training a 1,000 man F.C. commando force to carry out operations against al-Qaeda and the Taliban in the difficult terrain of the North-West Frontier. The U.S.-funded program was not publicized to avoid a public backlash in Pakistan. “In the beginning, the American military trainers confined themselves to training compounds due to security concerns in Pakistan. However, they had now started accompanying Pakistani troops on special guerrilla operations against the Taliban and al-Qaeda militants, eventually leading to the Wednesday incident in Lower Dir which shares a border with Afghanistan and with the restive Swat district…” (The News, February 4). The Americans were the first U.S. troops killed in Pakistan since an Air Force Major and a Navy cryptologist were killed in the September 20, 2008 TTP bombing of the Marriot hotel in Islamabad. In an Arabic-language interview carried on January 29 by al-Jazeera, Afghanistan president Hamid Karzai acknowledged that covert talks with Mullah Omar’s Taliban began nearly 15 months ago in Saudi Arabia and suggested NATO had made “major errors” in the defense of his regime. 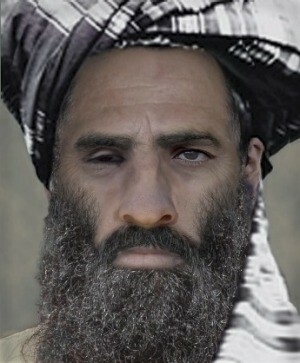 The president confirmed recent rumors that members of his government had met with a Taliban delegation approved by Afghan Taliban leader Mullah Muhammad Omar in Saudi Arabia in September 2008. “Yes, this happened sometime ago. They are Afghans and we also are Afghans and we have known each other since the days of jihad against the Soviets. There was cooperation between me and Taliban when this movement appeared. I know them very well.” The talks in Mecca were reportedly initiated after a senior Saudi official traveled to Pakistan’s North Waziristan Tribal Agency in an attempt to meet with top Taliban leaders and al-Qaeda’s deputy leader, Dr. Ayman al-Zawahiri. Though the Saudi official failed to meet anyone other than third-tier Taliban commanders, the effort led to the organization of secret talks in Mecca sponsored by the Saudis and attended by American officials. Though nothing came of these talks due to the Taliban’s insistence on an American withdrawal before negotiations could begin, parleys facilitated by Pakistan’s Inter-Service Intelligence (ISI) and Saudi Arabia’s General Intelligence Directorate (GID) are reported to be ongoing (The News [Islamabad], February 6). Karzai announced on January 28 that he had made a formal request to Saudi Arabia’s King Abdullah bin Abdul Aziz Al Saud for help in facilitating talks with the Taliban (The News, January 28). Karzai denied the existence of direct talks between himself and Mullah Omar. “Unfortunately I cannot find him and talk to him directly. If I can find his telephone number or his address I will certain contact him.” In another interview several days later, Karzai expressed his hope for reconciliation with Mullah Omar and the Taliban leader’s return to Afghanistan – under one condition: “Mullah Omar is first and foremost an Afghan, and we want all Afghans to return. Afghanistan is a democratic country, but it is also an Islamic country, and the Taliban know that… The rejection of al-Qaeda and terrorist networks is an absolute prerequisite [for reconciliation]” (Der Spiegel, January 31). Al-Qaeda’s al-Fajr Media Center has released a religious ruling on the permissibility of mass-casualty attacks in public places like markets. Written by Shaykh Atiyatullah, the ruling came in response to an inquiry into the October 28, 2009 market bombing in Peshawar. The bombing was carried out through the detonation of 150 kg of explosives hidden in a parked car, and it devastated the Mina Bazaar of Peshawar, reserved for the use of women and children. Over 100 people were killed and 200 wounded, mostly women. At the time, both the Tehrik-e-Taliban Pakistan (TTP) and al-Qaeda denied involvement in the attack, which sparked widespread outrage (The News [Islamabad], October 29, 2009; Dawn [Karachi], October 30). Based on these considerations, Shaykh Atiyatullah draws the conclusion that these types of bombings could not have been carried out by the mujahideen, whose activities never transgress the laws of Islam. “We firmly believe that they are carried out by the enemies of Allah, either through criminal security contractors such as Blackwater [Xe Services LLC] and their likes, or other filthy groups working under Pakistani intelligence [Inter-Services Intelligence – ISI] or some criminal impure generals in the army.” The Shaykh alleges that the purpose of these bombings is to discredit the mujahideen and destroy their image in the Islamic world while scaring Muslims away from participating in jihad. We believe that such bombings are the work of the Crusaders, the enemies of God, and their allies in the government and intelligence. It is part of the dirty war that they practice. How could that not be when they are the ones who mean harm to Muslims? They do not have any consideration for any sanctity and Muslim blood is worthless to them. Today, everyone knows that Blackwater and other criminal groups have violated Pakistan with support from [Pakistan’s] corrupt and criminal government and its security agencies. They commit these ugly actions and blame them on the mujahideen through their media outlets in order to tarnish the image of the mujahideen and Muslims. Buoyed by the successful transition of power after recent elections and the reconciliation of the government and opposition, Mauritania is now taking the unprecedented step of broadcasting a televised debate on the meaning and merits of jihad from inside a Nouakchott prison. On one side was a panel of officials and scholars, on the other was a divided group of some of Mauritania’s most dangerous convicts, including the leader of al-Qaeda in Mauritania, Khadim Ould Saman (al-Jazeera, January 19, 2010). In the last few years, Mauritania has battled a low-level but often shockingly violent insurgency led by al-Qaeda in the Islamic Maghreb (AQIM) (see Terrorism Monitor, August 20, 2009; July 30, 2009; February 23, 2005; Terrorism Focus, October 1, 2008; January 9, 2008). The two-day event (January 18-19) was attended by 67 Salafist prisoners, most of whom still await trial. The panel of scholars was led by Shaykh Muhammad Hassan Ould Daou and the Minister of Islamic Affairs, Ahmed Ould Nini, who announced, “We are here today to discuss ways and means to get out of a crisis that threatens civil peace in a nation known for its spirit of tolerance, magnanimity and openness” (AFP, January 2, 2010). One member of the panel explained, “The objective is to encourage [the prisoners] to repent and to support a fatwa that condemns fundamentalism and religious violence – a fatwa which imams will later disseminate in mosques” (Jeune Afrique, January 29, 2010). One of the central questions examined in the dialogue was the legitimacy of attacks against Muslims and non-Muslims. Indeed, we are right to face infidels everywhere in Muslim lands until they leave every part of Muslim countries and until we liberate them. We have the right to fight a handful of people who rule Muslim countries until we remove them by fighting them by the sword and until we enforce the rule of Shari’a. It is the right of Muslims to be ruled by the Shari’a… You [the clerics] have no knowledge and are wrong to describe us as ignorant and religious extremists (al-Jazeera, January 19, 2010; January 23, 2010). Ould Saman, however, appears to represent a minority view among the prisoners, 47 of whom signed a document calling for dialogue with Mauritanian religious scholars. The document praised the outreach work of the scholars, saying they have explained certain concepts “which they previously did not understand” (Agence Nouakchott d’Information, January 11, 2010). Still, about 20 irreconcilables continue to support Ould Saman’s hardline views, even with the possibility of an amnesty dangling before them. 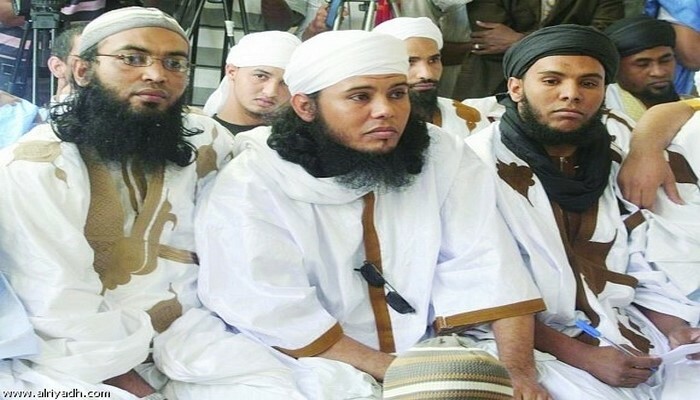 This group, which includes some of Mauritania’s best-known terrorists, is aware that AQIM has demanded their release in exchange for three Spanish hostages. Many of the Salafist detainees have complained of torture and mistreatment while in prison, though human rights groups report an improvement in this area under the new regime. Ould Saman escaped from the same prison in 2006 and is alleged to have used his freedom to murder four French tourists in December 2007 and to organize an attack on the Israeli embassy (now closed) in February 2008. He was re-arrested in April, 2008 (Agence Nouakchott d’Information, April 30, 2008). After his arrest, Ould Saman was charged with using Mauritania as a base for “terrorist acts against a foreign country [Israel] and belonging to a terrorist organization” (AFP, August 26, 2009). The talks, which are being followed closely by the public, are supported by Mauritania’s newly legitimate Islamist party, Tawassoul. This article first appeared in the February 4, 2010 issue of the Jamestown Foundation’s Terrorism Monitor. Somalia’s Hizb al-Islam movement appears to have lost a significant portion of its fighting strength to its Islamist rival, al-Shabaab. 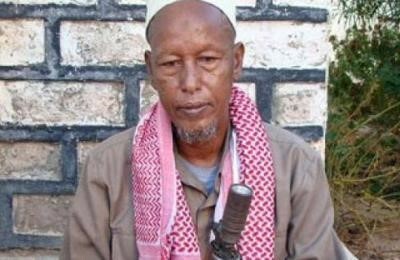 A senior Shabaab leader, Shaykh Fu’ad Muhammad Khalaf, used a February 1 news conference in Baidoa to announce that the Ras Kamboni Brigade had left Hizb al-Islam to join the mujahideen of al-Shabaab (al-Qimmah, February 1). A declaration signed by the leaders of both movements outlined the groups’ shared objectives, which include the establishment of an Islamic government, support for Muslims in the Horn of Africa who are living under the rule of “enemy Christians”, and a determination to “combine the jihad of the Horn of Africa with the international jihad.” Ras Kamboni will now operate under the name al-Shabaab (Shabelle Media Network, February 1). Mu’askar (Camp) Ras Kamboni was one of four Islamist militias that gathered together under the Hizb al-Islam umbrella in January, 2009 to oppose the government of Shaykh Sharif Shaykh Ahmad. Ras Kamboni has previously cooperated with al-Shabaab, most notably in the expulsion of the Transitional Federal Government (TFG) from the southern port of Kismayo in 2006. The movement is based in south Somalia and is currently led by Shaykh Hassan Abdullah Hirsi al-Turki, a controversial Islamist warlord and political figure who is well known for his shifting loyalties. 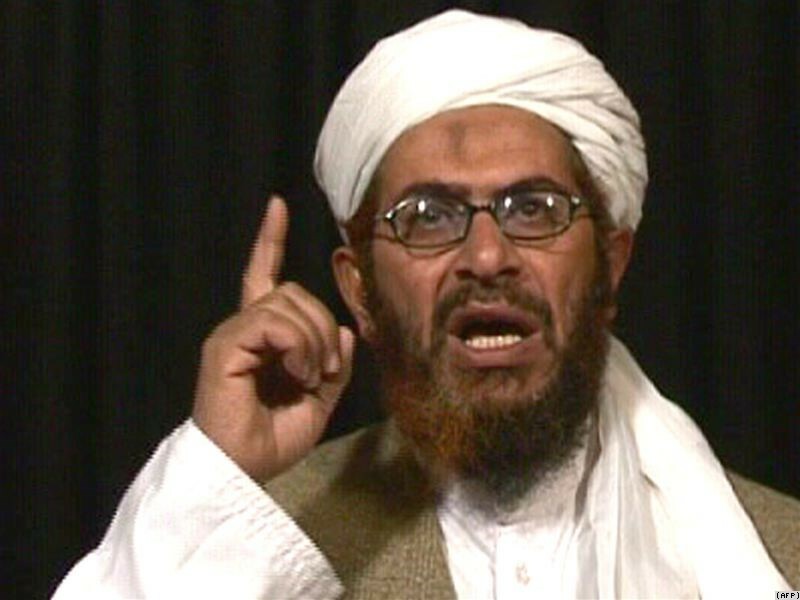 Al-Turki provided reinforcements to al-Shabaab when the movement took heavy losses in the summer of 2008. The warlord was defeated in fighting by al-Shabaab in southern Somalia last fall, but unlike other Hizb al-Islam leaders he was unable to flee into ethnic-Somali north Kenya as he is wanted there for his alleged involvement in the 1998 Nairobi embassy bombing (Shabelle Media Network, February 2). The Ras Kamboni militia has joined al-Shabaab just as the movement made a declaration of allegiance to Osama bin Laden and al-Qaeda. Shaykh Fu’ad Muhammad Khalaf announced that the unification agreement was just the first step in dismantling the Hizb al-Islam Islamist coalition, saying, “We intend to invite other groups in Hizb al-Islam and make our war a global jihad” (Garowe Online, February 2). Hizb al-Islam commander Shaykh Ahmad Madobe said al-Turki was already “long suspended from Ras Kamboni” and was an ailing man who was “not capable of carrying out any duties” (Shabelle Media Network, February 2). Backed by a number of Ras Kamboni commanders, the leader of Hizb al-Islam, Shaykh Hassan Dahir Aweys, questioned the reality and significance of the Baidoa agreement; “Shaykh Turki has joined al-Shabaab, but that does not mean Ras Kamboni has indeed joined our brothers in al-Shabaab” (Garowe Online, February 2).